Root 18 CrossFit is a place for everyone from a BEGINNER to an experienced person and we will help you achieve your goals. We’re people with aspirations and goals just like you. We are moms, dads, students, professionals and everything in between but we share a common interest which is being healthy and having fun! We dread the thought of not being able to do something because of physical limitations. We’re skiers, climbers, firefighters, students, mountain bikers, trail runners, swimmers, athletes, etc. What’s more important is what we have in common with you. We chose CrossFit because we sought the same fitness level that you seek now. It started as an interest in being able to reach our goals as they relate to sport, but have since far outreached those boundaries. Now we seek to improve every aspect of our daily lives through fitness. To be able to perform our jobs better, to be surrounded by people who will celebrate our first pull up, to have a place to go to blow off a little steam, to try things that most adults would consider childish (which we consider cool). You see, CrossFit has added value to our lives and we want you to be a part of that. 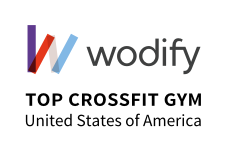 Everything about CrossFit is challenging – driving to the gym and ignoring those butterflies in your stomach, willing yourself to take your intensity to new levels, finishing the filthy fifty as prescribed, and trying not to spend all day checking to see if tomorrow’s WOD (workout) has been posted yet. What makes it so fun is the fact that you are challenging yourself, along with every other person at Root 18 CrossFit. You can share that pain with each other and somehow it becomes a success story – everyday.